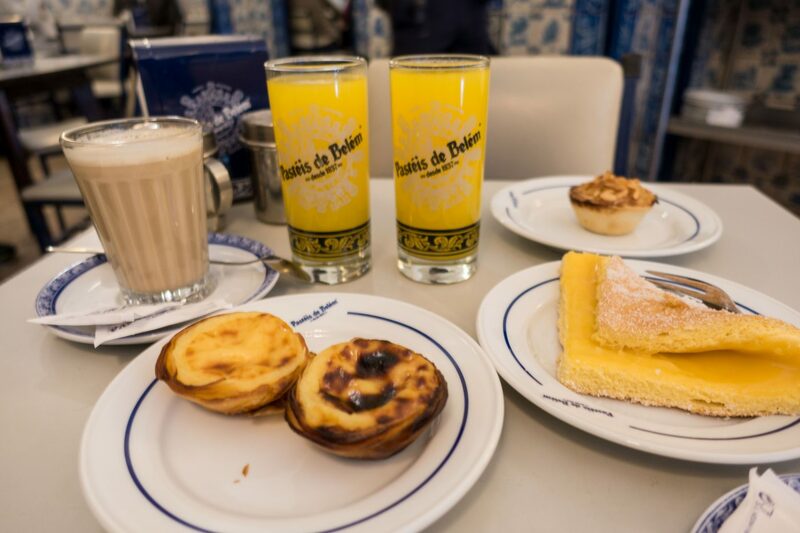 “Pastéis de Belém pastry shop is certainly not any longer an insider’s tip, but always worth a little trip for me when in Lisbon. You have to be there early enough, before the big tourist rush. 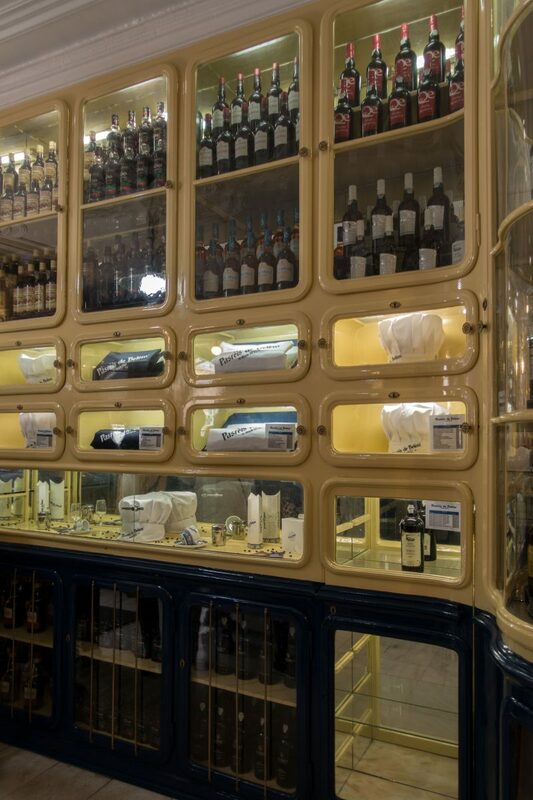 Then you can sit in the large, blue-and-white tiled rooms at simple, old tables together with Portuguese and get to talk. The pastry shop is named after their famous puff pastry tartlets which in the rest of Portugal are known as Natas. In Pastéis de Belém their taste is unique! Crispy dough, fluffy, velvety vanilla filling, you sprinkle cinnamon and sugar over it, if you like. 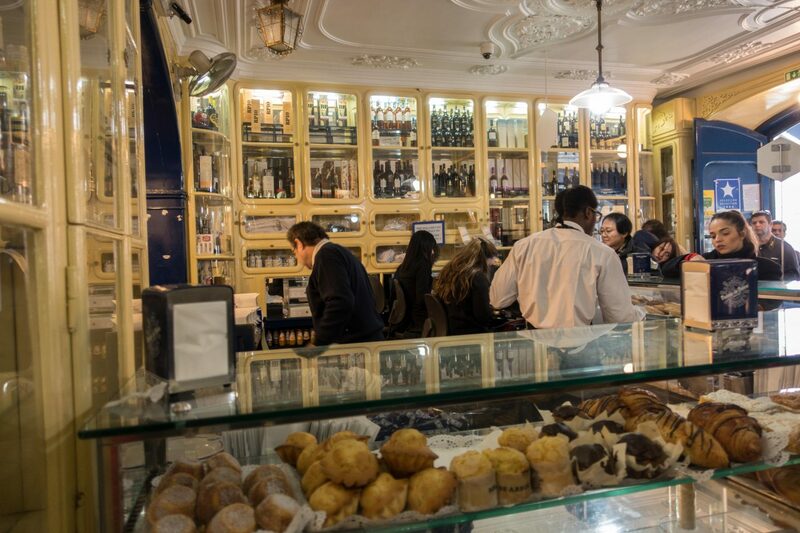 In addition the typical Portuguese milk coffee, the Galão – yes, that’s a way to begin the day. The best thing to do is to leave the ship early in the morning. Bicycles can be rented at the terminal or you can walk the first part of the way to the Praça de Commercio, where you find several bike rentals. Take two to three hours by bike for the excursion. Of course you can also walk the path, no problem at all during a normal port stay. The route is relatively well developed for bicycles, there are some well-paved sections and some with cobblestones. 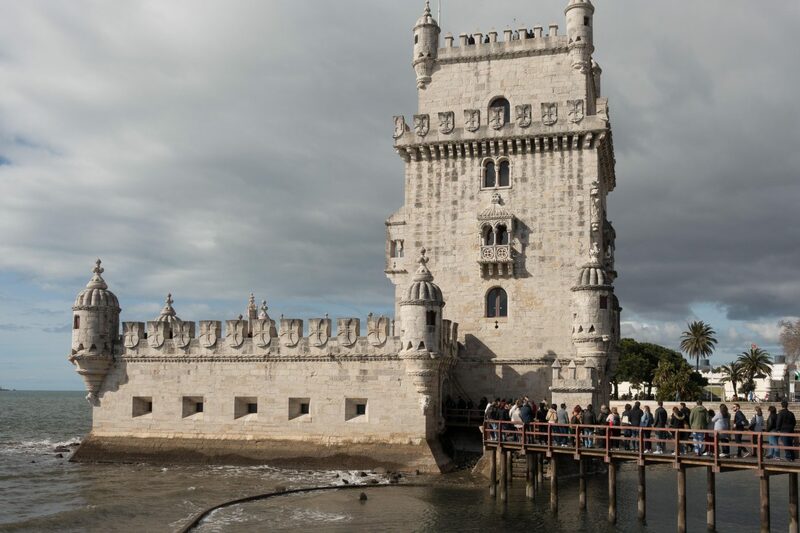 Leaving the terminal, turn left and follow the coastal promenade to the tower of Belém (Torre de Belém). 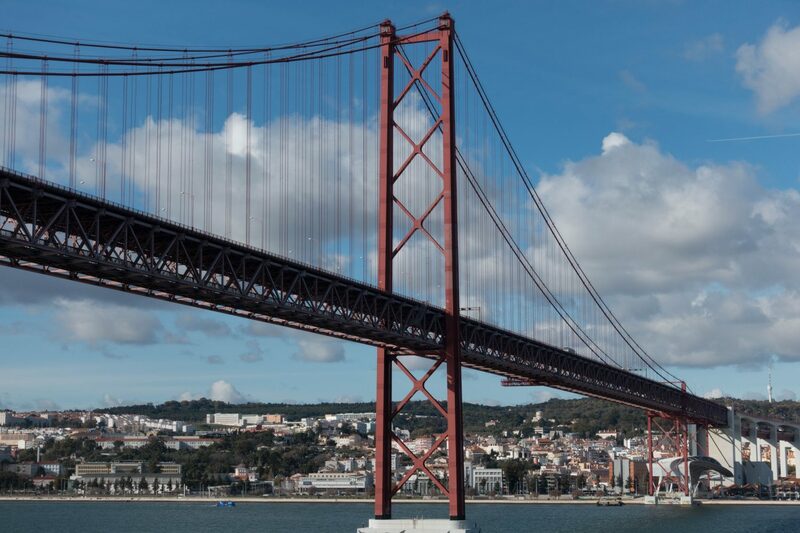 You choose your own pace, always driving along the river Tagus, past the Praça de Commercio (Trading Place), the ferry harbors where the river ferries depart, the Museum of Ancient Arts. 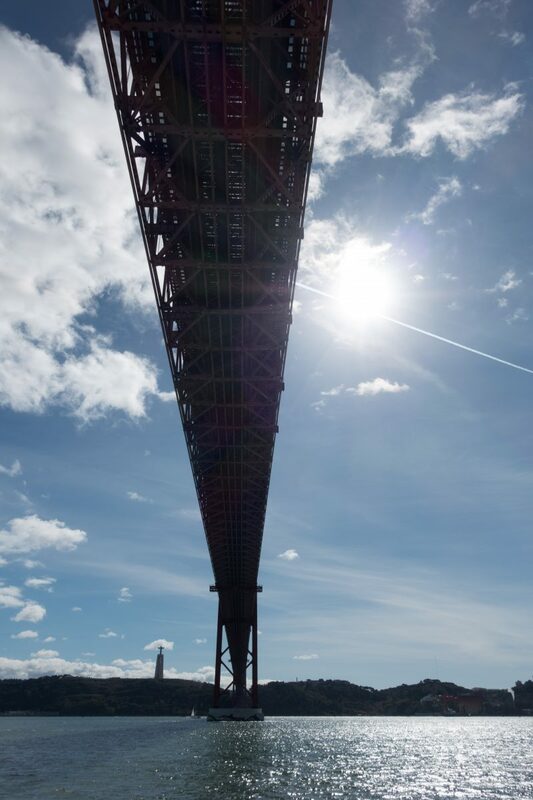 Just after passing under the bridge of April 25th, you will see the futuristic MAAT (Museum of Art, Architecture and Technique), pass the Monument to Seafarers and Explorers and soon arrive at the Tower of Belém and its park. Now, you head towards the city. For this, the multi-lane Avenida Brasilia and the railway tracks must be crossed over a pedestrian bridge. 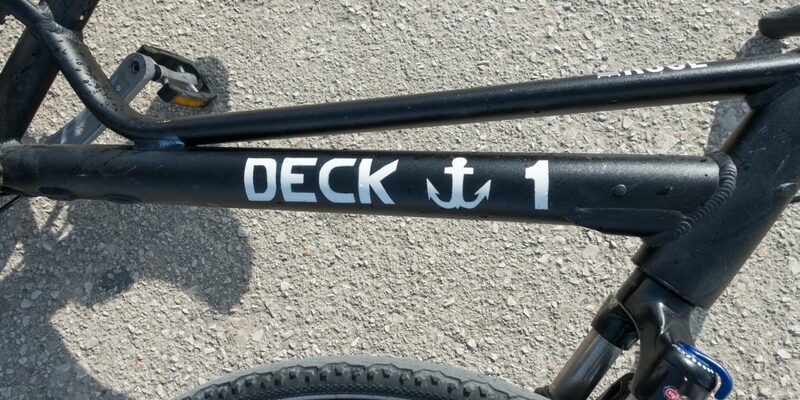 Rails make it easier to take bicycles with you (If you don’t like to carry your bike up and down, you can lock it and walk to the pastry shop – it’s only a short walk). Arriving on the other side you follow the Rua Bartolomeu Dias to the right, almost parallel to the Tagus. You pass the gardens of Belém on the right and the monastery of Mosteiro dos Jerónimos on the left. 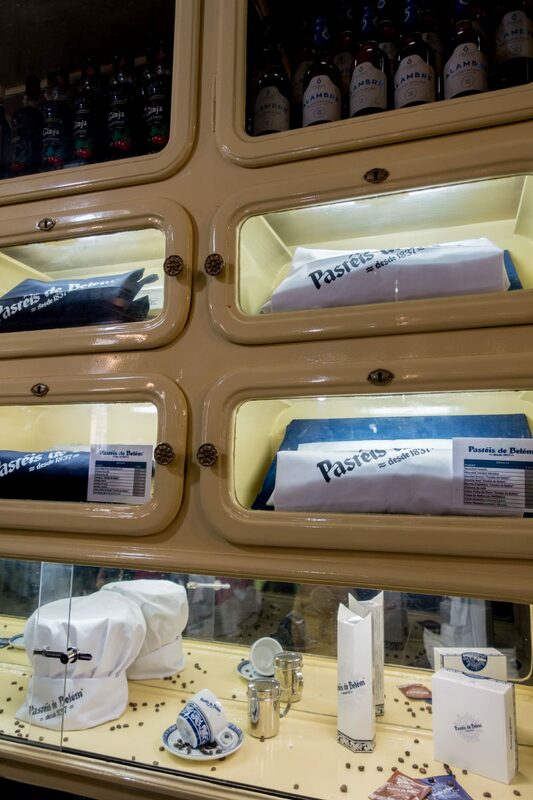 If you follow the road for a short while, you will find Pastéis Belém Confectionery on your left. In addition to the famous Pastéis de Belém you should also try other pastries, such as Guardanapos, which means napkin. A biscuit dough, folded like a napkin and filled with a delicious cream. 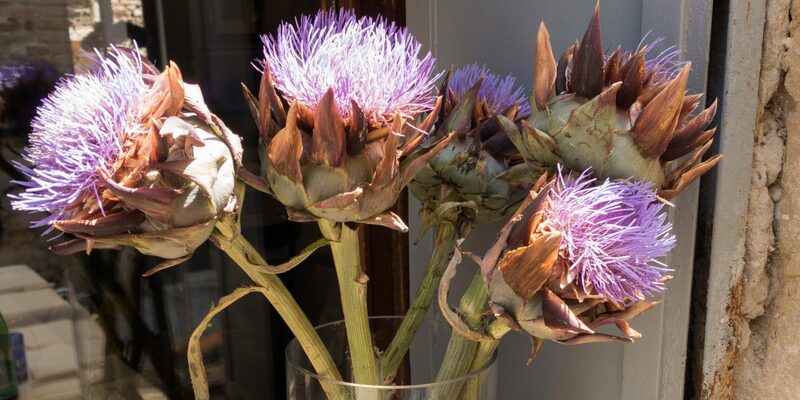 For those who are not currently in Lisbon, there is the recipe for the Pastéis de Belém for baking. On your way back you take the same way. If you still have time, you can have a drink at the Quiosque Ribeira das Naus. 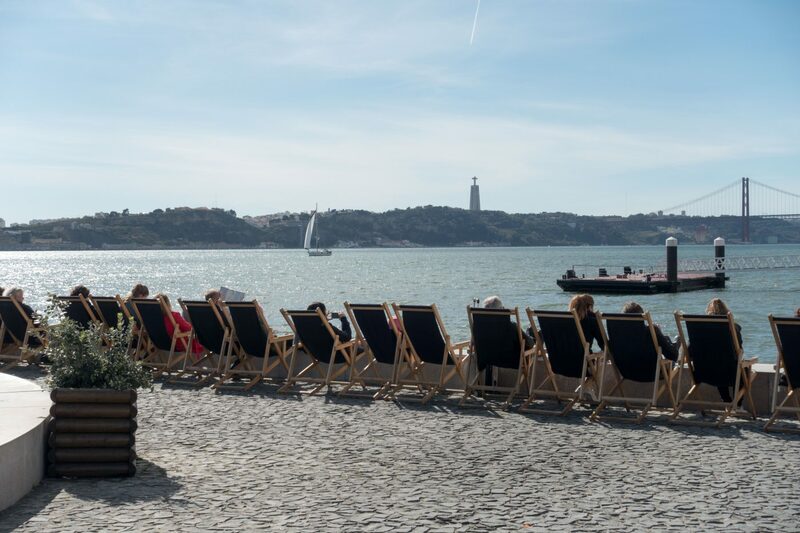 Here you can sit on a terrace right at the river and have a wonderful view of the famous statue Cristo Rei in Almada on the other side of the Tagus and the bridge of April 25, which spans the Tagus. Frankfurt book fair: Captain’s Dinner cooked on stage of the Gourmet Gallery! „Too good for the bin“ is a German campaign against food waste. Health food magazine „Schrot & Korn“ [whole grain & corn] made a competition in their September issue: Topic was the use of old or stale bread. 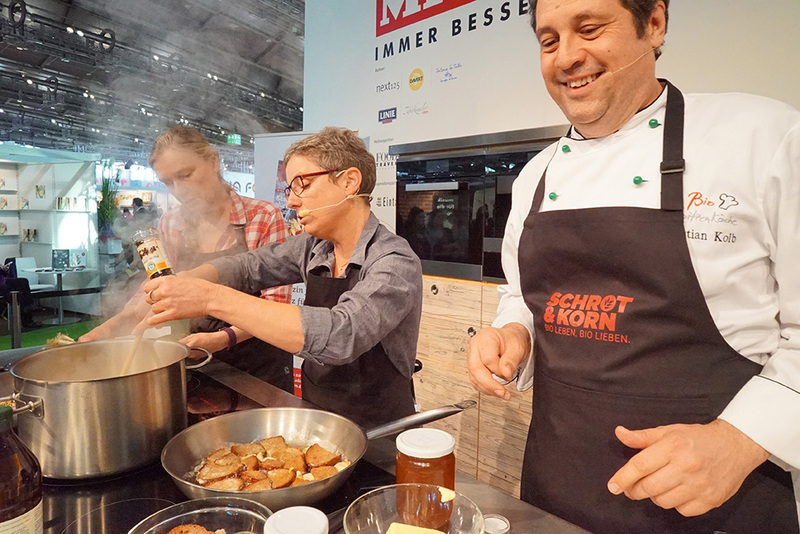 The authors of the two best recipes had been invited to visit this year’s book fair in Frankfurt to cook their recipes in the show kitchen of the „Gourmet Gallery“ together with bio-leading chef Christian Kolb. I won this trip with my recipe of an onion bread soup! Softshell Crabs were the recommendation of the very friendly waiter in the Trattoria Antiche Carampane, crabs who are changing their shells. I had read that these crabs, called Moeche in Venetian dialect, existed in Venice. It is rather rare that we have never tasted a special food. This was a first. And a successful one! 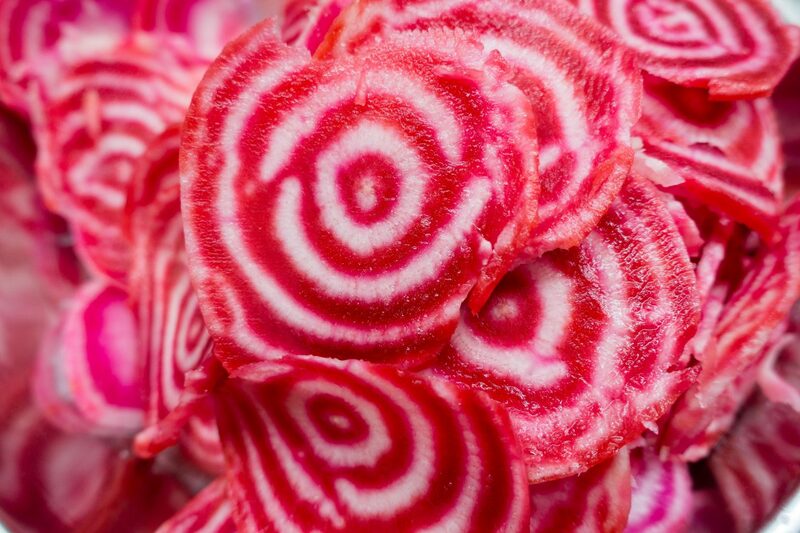 Candy cane beet is always a guarantee for a colorful plate. So just right for the cloudy season. In combination with lamb’s lettuce, radish and crispy cinnamon croutons, this winter salad is a delicious addition to roast codfish.